Infant child care is an extremely important subject that many people and parents talk about. Becoming a parent is a matter of taking care of your child’s need from infancy to adulthood, and ensuring that your child gets the best possible care in terms of comfort, safety, nutrition and support. The cost of child care for infants is quite high since a specialized person is something most parents would want. Mothers increasingly have to leave their babies at very young ages to get back into the work force. Since taking care of very young children is not something all day care centers are equipped to do, those that do, have people who are trained for the task. These places would also need to fulfill very specific requirements to meet the needs of the young ones. Here are a few necessary investments that new parents would need to make to ensure their baby is comfortable inside the house and out. One of the main costs that new parents incur including that of setting up a nursery. 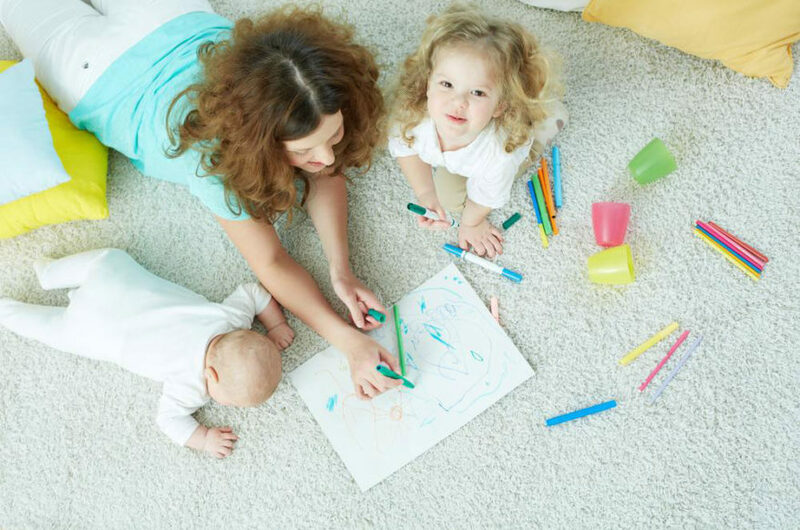 Starting from furniture like the crib, storage and changing table to other pieces of comfort for the mother and father like the day bed and rocker, as well as other soft furnishings like curtains and rugs, there are a number of costs that only grow over the years. Yet, this initial cost of installing a nursery is one that takes a priority for all parents since everyone wants to choose the best and safest pieces. This cost is incurred so that the child and parents can be cocooned in a safe and comfortable environment where things are well within one’s reach while catering to the infant. There are a number of things that one needs to invest in so that one is not forced to stay indoors. Starting from the baby strollers with all its safety latches and mechanics in place, to a car seat that has similar features and a carriers or sling that will help in easy and comfortable carriage of the child, there are a number of things that one will need to take care of. These things are usually checked by an authorized person before the parents leave the hospital with the baby so that there is no untoward incident. The creche, day care and baby sitter facilities are things that most parents look for, especially if the mother has to get back to work, or is a single mother. There are state sponsored day care centers and creches where one works too, yet there are additional charges that one may have to incur in case the baby is very small and requires individual attention. The cost of bringing in a baby sitter can be quite high since most sitters charge on a per hour basis. But one must make sure to choose someone who comes with a certificate form a proper agency.